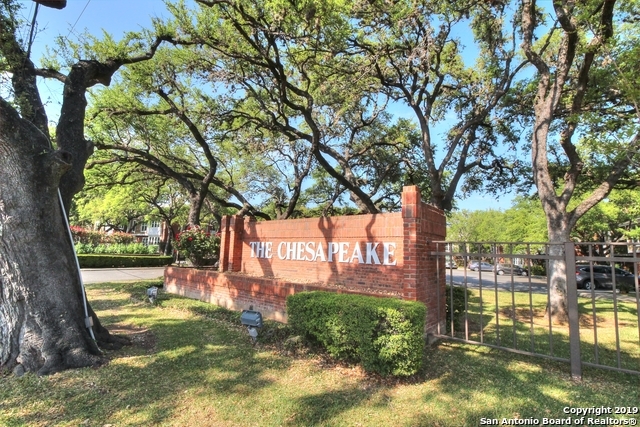 All CHESAPEAKE CONDO homes currently listed for sale in San Antonio as of 04/22/2019 are shown below. You can change the search criteria at any time by pressing the 'Change Search' button below. "Beautiful ground floor unit in desirable Chesapeake. Granite in remodeled kitchen and bathrooms. Ceramic tile for easy care. Master has awesome closet & built in drawers. Nice Wood Shutters throughout. All appliances convey. Access to Hardberger Park. Close to shopping and restaurants. This gated Community offers some awesome amenities like Pool and Party Room, BBQ/Picnic Area, Tennis Courts & Jogging Trails." "WONDERFUL 2 BR CONDO WITH FIREPLACE*heavily treed grounds with park area and jogging trail*RECENTLY UPDATED FLOORS, KITCHEN CABINETS,COUNTERTOPS, AND APPLIANCES*Windows,doors, and HVAC replaced in 2018*CONVENIENTLY LOCATED NEAR WURZBACH PARKWAY*close to shopping*POPULAR NORTH EAST SCHOOLS"